Editor’s Note: The following guest post comes from Al Gomez, President and Founder of Dlinkers. When you think of campaigns on social media, the first few brands that come to your mind are probably B2C companies. But it doesn’t mean that B2B companies don’t have a place in the social media playground. In the following article, Al is going to share with us his perspectives on the keys steps to setup goals for B2B social media campaign. And when we say goal-setting, it hits hard at home for B2B marketers who are responsible for attracting prospect clients into paying attention to complex services and products. For every aspect of every B2B campaign, setting goals is important. And social media belongs in that shelf. Learning how to set goals for a B2B social media campaign is necessary because everyone knows you can hardly achieve your goals without knowing exactly what you’re aiming for. In setting your goals for a B2B social media campaign, you set solid and realistic expectations for other campaigns in the future. But how do you clearly define a set of goals in a fickle landscape like social media marketing? The purpose of performing a social media audit lies in understanding and making sense of your current standing. Where are you in your long-term social media goals now? 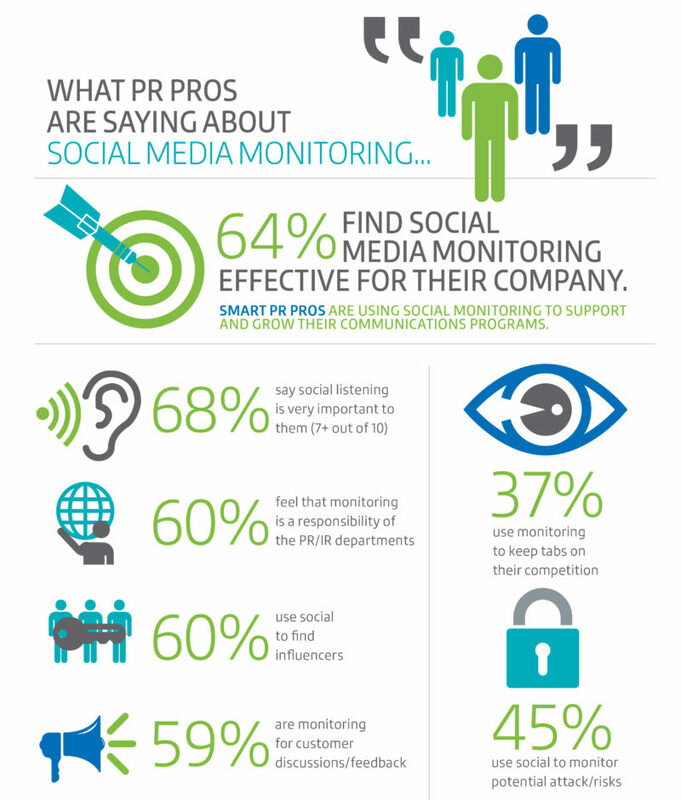 How much of your target audience is actively engaging with you on social media? How many of your viewers pay attention to the content you post, the videos you upload, the blog posts you publish? Are new visitors convinced to convert upon making it to your landing page via social media post? Social media auditing is a crucial step before you move on to setting grandiose goals. No, you don’t want to end up wasting time and resources on things that don’t need improvement in the first place. Neglecting the matters that require your special attention is a no-go either. Instead, focus your energy and resources on what matters to get the best results. 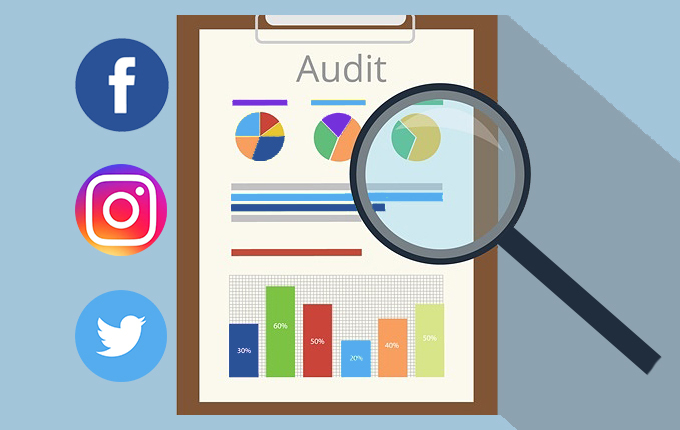 A complete, unbiased social media audit involves stepping back and looking at your social media marketing progress through an objective eye. And when you do it right, your discoveries uncovered by the audit can provide honest feedback that will help you craft actionable strategies to engage your clients better. Ensuring that every profile for each social media network is complete and on brand. In addition, you should also identify your business’ key performance indicators (KPIs) to be absolutely share. They are crucial to determining your success on social media. Second opinions are important to widen a perspective, but remember that no other person knows your business and social media performance better than you do. By conducting your thorough social media audit, you’ll be able to clearly identify the KPIs you need to track and measure to achieve your goals. The new year just rolled around recently. And with it comes new or recurring trends that you’d do well to keep a pulse on. When they shift, change, evolve, or fail, you’ll know and you won’t be surprised. So what exactly are the trends that have entered the B2B marketing pool for 2019? Account-based marketing is the new focus. B2B brands are looking to partner it with CRM. The use of AI won’t be a thing of surprise anymore. It’s a utility among B2B marketers nowadays. Connecting customer data across different marketing technologies will be used to get a grasp of the 360-degree customer view. Customer experience is still a priority. Paid ads produce twice as many clicks as organic listings. Becoming more active and encouraging engagement on LinkedIn. Repurposing content to focus on a fresher angle. Your purpose for staying up to date with these fickle trends is to outfit some of your goals with their relevance to drum up interest. When it comes to learning how to set goals for a B2B social media campaign, defining your specific goals come much easier when they filter through a broad funnel first. Remember that the objectives you decide to set will depend largely on the result of your social media audit. 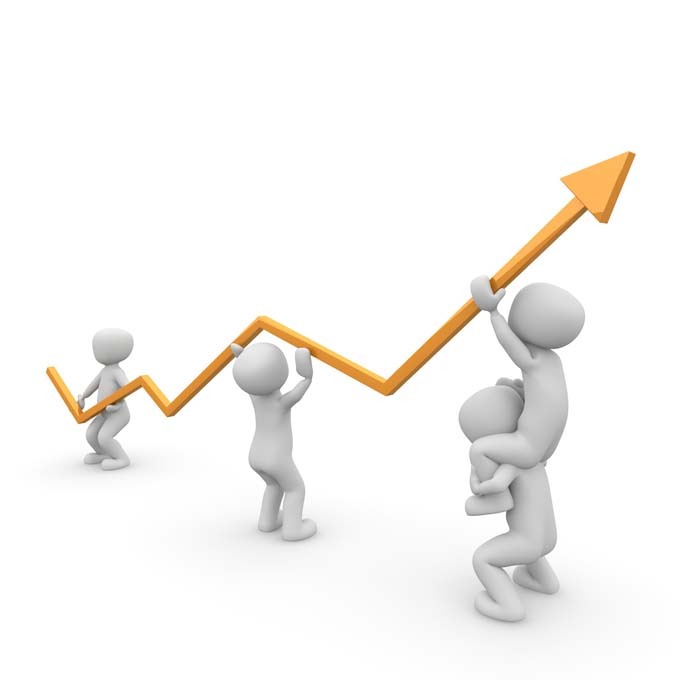 Activity-based goals: The main objective is to display consistency in your social media activity. Stick to the schedule you’ve made and work hard to stay on track. In achieving the activity-based goals, you create a foundation that will keep your audience coming back for more. Audience-building goals: This objective is where most of results from your audience research factor in. You will need analytics to help you determine the right social media platforms to use, when to post, and who to outfit your content for. It’s all about reaching your audience at the right place and at the right time. Engagement-centered goals: In Hostelley’s own words, “You’ll know you’re in this stage because people are regularly sharing your social posts, retweeting and mentioning your company’s social handles, and liking and commenting on LinkedIn company page updates.” It’s time to focus on thought leadership in your niche. ROI goals: This stage involves measuring the ROI generated by your meticulous social media marketing efforts. In addition to measuring, it’s high-time to think up more strategies to sustain that momentum and keep your engaged audience keep coming back for more. From these four general goals, you can go on to identify the broad and the specific company goals. There is no article in the world that would tell you your specific B2B social media marketing goals. Interpret the results of your social media audit right, keep your pulse on the latest trends, and track your company’s current social media stage and you will surely find the specific goal you’re looking for. Now that you have your specific goals and broad goals in place, it’s time to tailor a strategy just for the both of them. It goes without saying that there is no one-size-fits-all strategy for B2B social media marketing. But there are template strategies — as you would call them — that you can use as a guide for creating your tailored strategies. 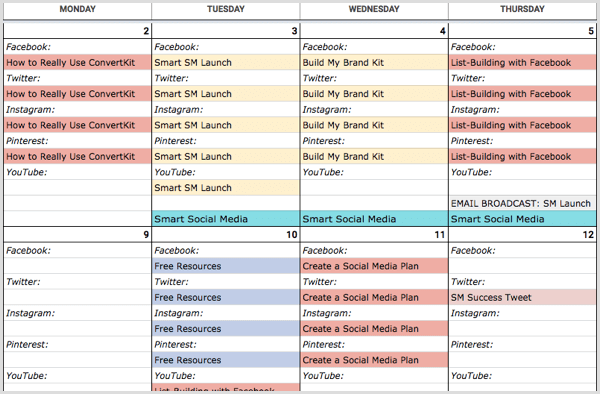 Social media marketers have been doing it for a long time, but keeping to the schedule you designated can get a bit challenging especially if work-related forces come in sudden floods to disrupt your natural order of things. As pre-mentioned in the first general goal, there is a need to establish your consistency. You need to be able to prove to your audience that you’re steadfast in your schedule, and that you’re capable of publishing content at regular basis. It’s a drip-feed campaign designed to make your target audience aware of your existence. Every social media platform has its own set of formatting rules and audience demographics. The main objective is to reach your audience at the right time in the right platform with the right kind of content. The name of the game is to get your content in front of your target clients. It’s ensuring that your content appears at the front page of their news feed. And to get the most out of it, it’s efficient and recommended that you keep conducting a regular audience research to be constantly in touch with your audience’s preferences and free times. As you’re well on your way to becoming one of the most significant thought leaders in your niche, you also have to keep a closer eye on your competitors’ strategies and social media maneuvers. Not to sound very opportunistic, but your competitors in the industry are a mine filled to the brim with nuggets of valuable marketing intelligence. And the content they broadcast is yours to keep track of, analyze, and to do with as you see fit. As you do your competitive analysis, take a particular not of what they’re failing to do. And when they’re doing it right, it’s a matter of making your efforts better and more creatively. Through careful social media monitoring and strategic planning, you can figure out ways to outsmart the competition and meet your end goals in the process. If you focused on one particular social media platform throughout your B2B social media marketing journey — say, LinkedIn (where most B2B marketers and businesses are) — it’s time to explore other social media platforms to expand your reach. Because as much as we wish our target clients can be found in one place, they really aren’t. Some may be active on LinkedIn, and yet a good number of them lurk around platforms like Facebook and Instagram just waiting for you to reach them. And while social media is effective for selling products, we have to face the fact that people don’t come into social media platforms to be sold to. They’re around in search for entertainment, news, and other updates. You need to cater to that desire, making yourself available to your prospect clients at all times. You not only maintain your notoriety on a lot of social media platforms, you increase the chances of doubling your ROI as well. Let’s face the truth and the reality that we’re not all good at everything. There are people who are good at something while others aren’t. And in cases like this, this might mean getting a social media manager or an experienced B2B marketer into your team (if you haven’t already, that is). Someone has to be in-charge of your social media marketing, so you better get the right person to do it. Defining your objectives, and learning how to set goals for a B2B social media campaign is crucial to the success of every marketing strategy you come up with in the future. You can’t strive to complete or achieve something without knowing what you’re aiming for first. So, in your next social media campaign, perhaps it’s time to take a closer look and a deeper consideration when it comes to setting your goals for this year’s marketing endeavors and beyond. Al Gomez is a digital marketing consultant. He is the President of Dlinkers, and he specializes in SEO, PPC & Web Development since 2008. Al has over 10 years’ client Digital Marketing experience and has helped businesses such as Dr. Berg, Patexia, Panel Wall Art, the Ritz Carlton, and countless others use the web to drive online visibility and generate leads. He has even started, developed, and managed an ecommerce website - Unlideals.com and an SEO website, alseoperth.com.